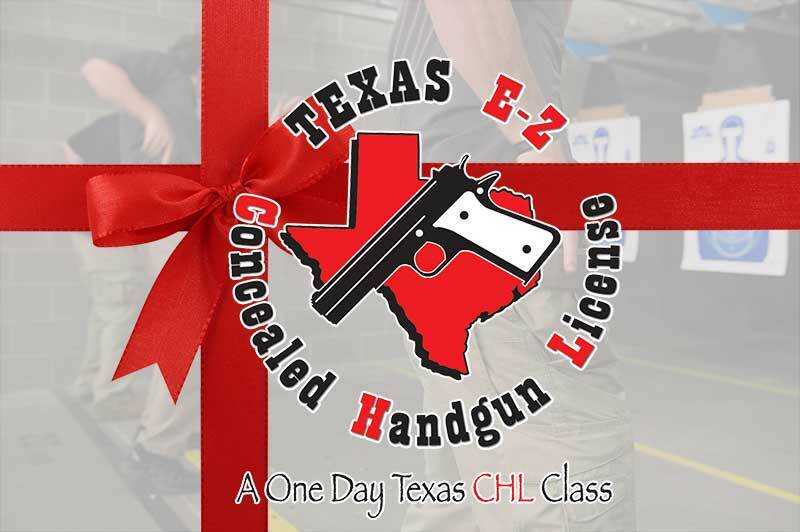 EZCHL is pleased to offer gift certificates available for our CHL/LTC Concealed Handgun Classes. 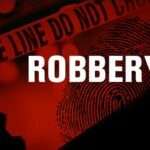 Whether it’s for Christmas, a Birthday, Anniversary or Holiday, give the gift of handgun self defense and situational awareness training to your friends, family, loved ones or a special someone. 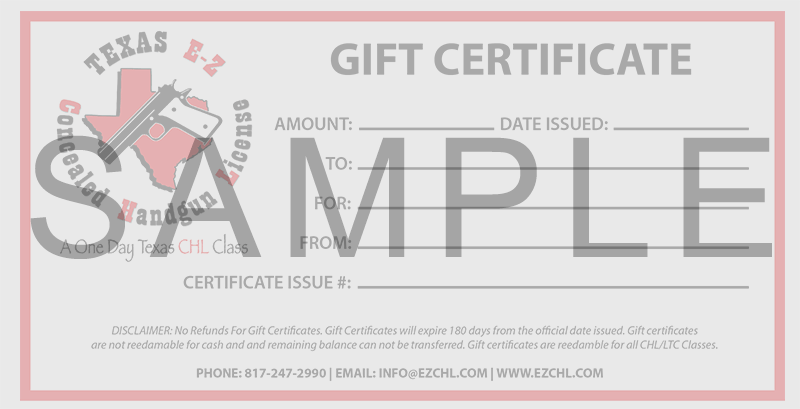 Your Gift Certificate will be emailed after payment to your PayPal email address.